Question: If you can’t talk with management, and can’t read the annual report, and didn’t know the price, but could only look at the financial statements, what metric would you look at? 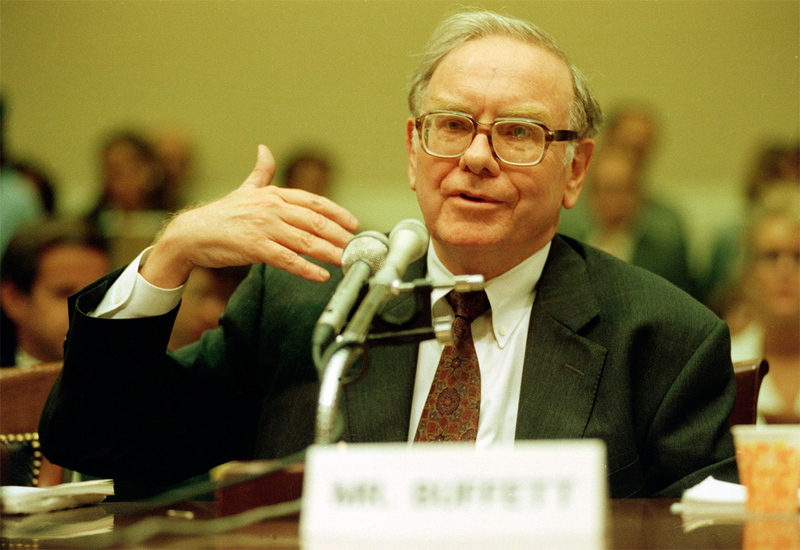 Buffett: Investing is laying out money now to get more money later on. Let’s leave the market price out. If you were buying a farm, you would think about bushels per acre — you are looking to the asset itself. Ask yourself: do I understand enough about the business so that the financials will be able to tell me meaningful things that will help me to foresee the statements in the future? I have bought stocks the way you describe. They were in businesses I understood, and if I could buy at 40% of X, I’d be okay with the margin of safety. If you don’t tell me the nature of the business, financial statements won’t say much. We’ve bought many securities, and with most, we’ve never met management. We use our general understanding of business and look to specifics from financial statements. Munger: One metric catches people. We prefer firms that drown in cash. An example of a different business is construction equipment. You work hard all year, and there is your profit sitting in the yard. We avoid companies like that. We prefer those that can write us a check at the end of the year. Buffett: We could value an apartment if we knew where the apartment is, and we are aware the monthly checks. I have bought a lot of things off the financials. There is a lot I wouldn’t buy even if it had the best management in the world, as it doesn’t make much difference in a bad business. It’s a question of being able to identify businesses that you understand, and you are very certain about. If you recognize those companies, and many people do, but Charlie and I don’t, then you have the opportunity to evaluate them. If you decide they’re reasonably priced, and they have marvellous prospects, you’re going to do very well. But there’s a whole group of companies–a large group of companies–that Charlie and I just don’t know how to value. And that doesn’t bother us. I mean, we don’t know how to figure out what cocoa beans are going to do, or the Russian ruble–there’s all kinds of financial instruments that we just don’t feel we have the knowledge to evaluate. It might be a bit too much to expect somebody would understand every business in the world. We find some that are much harder for us to understand. When I say understand–my definition of understanding is that you have to have a pretty good idea of where it’s going to be in ten years. I just can’t get that conviction with a lot of businesses, whereas I can get them with relatively few. But I only need a few–six or eight, as you pointed out, or something like that. It would be better for you–it certainly would have been better for you if we had had the insights about what we regard as the more complicated businesses you describe–because there was and may still be a chance to make a whole lot more money if those growth rates that you describe are maintained. I don’t think you’ll find better managers than Andy Grove at Intel or Bill Gates at Microsoft, and they certainly seem to have fantastic positions in the businesses they’re in, but I don’t know enough about those businesses to be sure that those companies are fantastic as I am about being sure that Gillette and Coca-Cola’s businesses are excellent. You may understand those markets better than you understand Coke and Gillette because of your background or just the way your mind is wired. But I don’t, and therefore, I have to stick with what I think I can understand. So we buy businesses I can understand, whether all of them or small parts of them. We never buy anything that I don’t think I can know. I may be wrong about whether I understand it or not, but we’ve never owned a share of a technology company. There’re all kinds of businesses I don’t know. I don’t worry about that. Why should I (garbled)? You mentioned Cities Service Preferred; I didn’t know that very well when I bought it. Ever since I met Ben Graham, I was 19, I read his book when I was 18, it made nothing but sense to me. Buy pieces of businesses you can understand when they’re offered to you for quite a bit less than they’re worth. That’s all there is to it. That’s what we try to do with 100% of the business, 7% of the firm, or whatever. My partner Charlie Munger and I have been together for about 15 years, and that’s all we do. And we’ll never do anything else.